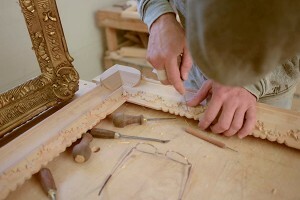 Goldleaf Framemakers is a leading manufacturer of hand-carved, gilded, finished-corner picture frames. We have provided fine art services for galleries, museums, private collectors, and the hospitality industry since 1988. Goldleaf Framemakers is the only facility in the west that provides museum quality picture frames and painting conservation under one roof. While we restore your painting, we will produce your frame simultaneously. At Goldleaf Framemakers, we believe that the period of the picture frame should match the period of the artwork it surrounds. Our showroom displays over 2,000 authentic corner samples organized by geographic origin and period. This allows us to choose the most appropriate frame for your artwork. We make our frames by hand in our cutting edge facility in Santa Fe, New Mexico—one of America’s art capitals. Each of our staff members is trained in a specific aspect of the framing process. Their mastery and attention to detail ensures that each step is executed with precision. This means that each frame is a work of art, in and of itself. The fine art conservation and restoration department at Goldleaf Framemakers was established as a response to the ever growing demands of the art community in Santa Fe. The efficiency, attention to detail, and accuracy in which each piece is treated has made Goldleaf Framemakers a leading name in fine art conservation and restoration. Our service standards require that we use the highest quality materials. In fitting your artwork, we only use museum quality glass, rag mats, and frames lined with felt and acid-free tape. With Goldleaf Framemakers restoration services, artwork will appear the way the artist intended. 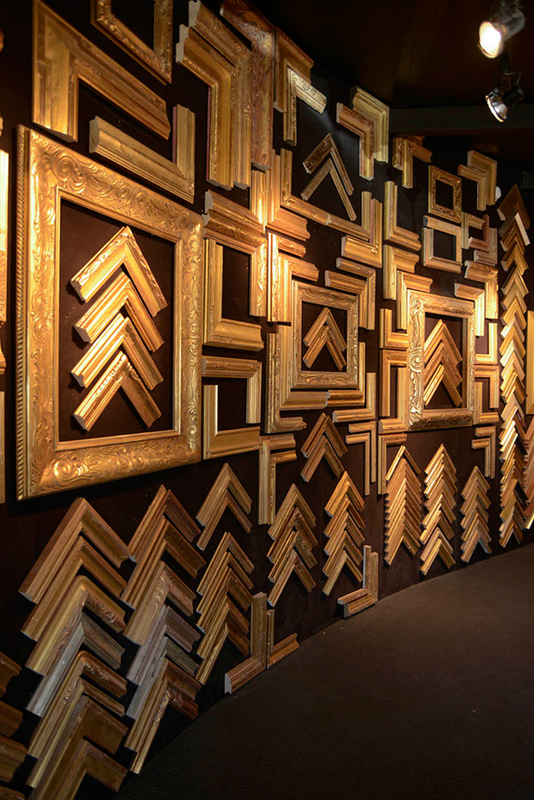 The personality of a Goldleaf Framemakers frame will enhance the personality of the artwork it surrounds. Goldleaf Framemakers will allow your artwork to shine through in its truest form.